Today would be the first open council discussion, proposal of enhancement, and perhaps an open Q and A (Question and Answer) discussion. The hairs on the nape of his neck, forming a beautiful white man, stood upon the thought; how excited he was! His disciples, one an economist, another a messenger, only stressed for the presentations they would eventually be making. Apolis's delightful mood was enhanced by their anxiety. "Calm thyselves. Your presentations will have the least amount of audio for the entire session. Needless for worry or doubt. In fact, I feel as delighted to present them for you youthfuls. My day has been going as planned anyway." He smiled as he walked upon the stone cold flooring. His disciples said nothing and expressed no more than grateful nods. Apolis sped up his pace as his disciples dispersed to advance in their own studies. Wandering into the hall of which the council proposals, discussions, and Q and A would take place. Large pillars kept the ice ceiling from crashing down upon the callous but smooth flooring of which he would walk. Robes of complex and elegant design was draped over the walls. An ice and diamond chandelier hung from the ceiling, shining much like a star as it's light reflected upon the other surfaces. Every was beautiful - so ready to presentation to the kingdom's loyal, cherished citizens. Within the grasp of his wing, was neatly organized papers with ink letters lined up sentence by sentence. Of course, he had the whole thing memorized. He had studied his work so attentively the recent moons that the papers were there for the atmosphere. Within hours, the seats in the hall were filled with citizens of all classes and ranking. Apolis climbed the fluorescent staircase and sat upon one of four seats of the councilmen. Though, he expected that his beloved Queen would remain dismissed upon their presence. She had been very occupied by her status's responsibilities as of late. "Now, I lie in wait." Crystal ran through the halls, multiple potions falling out of her satchel on the way. She moved her tail so the more dangerous ones didnt hit it, and most of the potions made a colorful mist come around the Queen. She finally made it, panting. "S-Sorry im late.. I was busy, as you know. I was trying to help make these gosh darn potions..." The Queen sat in the seat next to Apolis, a small smile on her face. "I know you thought i wouldnt attend, haha, but here i am!" Her smile slowly becamed more forced, the queen looking a little tired. Gemna sat with the rest of the others, looking around in curiosity. Only recently had he joined the Ice Dragons Clan, the IceWings, as he recalled only joining for his own purposes. He did not want to be remembered as the old hermit in the caves, but tonight was the meeting of the council. The guardian spent most of his time studying around, since no other dragons had truly breached or entered through the lines of the IceWing territory, he had time to himself most of the days, collected anything that seemed interesting so he could take it back to his cave and study it like the geek he is. Only as of recent had he became so fascinated with studying, he spends most of his time reading when he is not working, and some nights go sleepless due to scrolls and books that are read. Oh well, at least he was somewhat happy with what he knew and what he did, nothing major to make him talk to himself. There was nothing exciting anymore, back in the early days he had wild adventures, and now? He was just a patrol dragon. 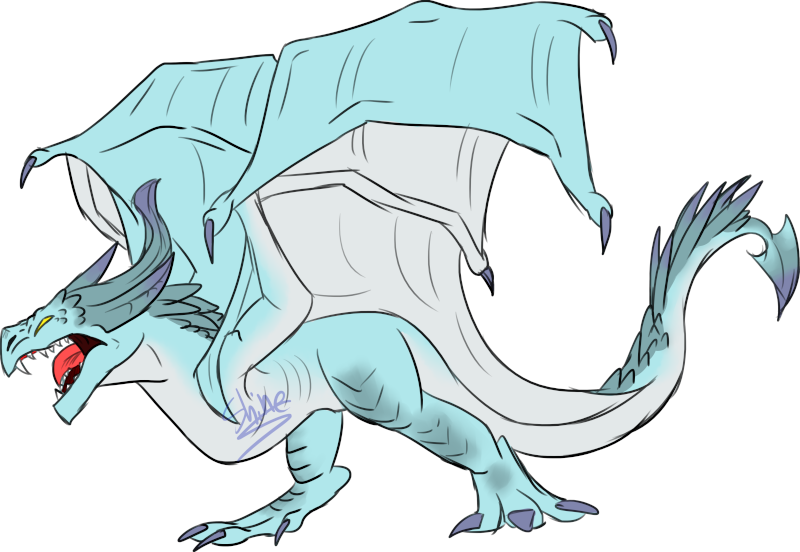 Gemna thought about leaving the IceWings for good, since any other ice dragon did not know who he was, he knew he would not be missed, but he stuck around just in case anything interesting happened. He was not the type to sit around and wait, he was a peaceful dragon, but something interesting needed to happen, and that is why he came to the councils inquiry, to see if anything interesting happened, and if not, he would simply leave without any words. Apolis was mistaken. His Queen had decided to render herself present in this important meeting. Apolis was most surprised and forced a smile to hide his countenance. He had just finished going through his papers again before filing them into one, relatively thick stack and turned to face Crystal once more. "I thought as much. You are often busy with your own little studies as of late. Nevertheless, I hardly see you tend to the people. Not that there is much to tend to. It's in my sincerest expectations that with you endeavoring in such studies, complex in their way, present them?" He inquired. Apolis smirked confidently and stared down at his papers with his crystal eyes. His disciples soon entered the hall and stood next to their professor, a bit uneasy. They were very aware of his proposals. And with agitation so divine, Apolis could hardly wait until the meeting had started. He was prepared to begin in before the councilmen even entered. Sindra came into the meeting room, making her place closest to the king as possible. Of course, she came in wearing her cloak, hiding her skull in the enchanted shadows the cloak made, many dragons still weren't used to seeing a skeleton walking around the kingdom, maybe her colleagues in the department for research and development were but they saw her on a daily basis, making the exception. As she sat down, she thought about everything that was going on around her. She left her father in the realm of Death in order to learn about how those lived that ended up at his place when their time was over. That was the original motivation a long time ago. But as time went by, she found herself entertained with the antics and the lifes of the mortals. Soon she started living around those she deemed interesting, watching their lives go by, seeing them plotting, scheming, acting...dying. Right now, she didn't have anything to do really. She was living inside the kingdom now, not outside, and became the position of leading the Science Branch handed to her. Now however, she was bored. I mean, all that was fine and dandy but it didn't interest her really. She did that just to get some time going, to not waste away in complete nothingness. The moment she glanced over to the king, she saw a little sparkle in his eyes and she could tell, he was going for something great. She didn't know anything about his plans but she knew that he was up to something, five millennia of living allowed her to read those little things. She found a new living subject, someone who would keep her interested and who would entertain her with the folly of the mortals. Akull was a very hyper dragon. He didn’t want to be a tracker, unlike his younger self. He wished to be one of the greatest scholar, ice mage, scientist, inventor, and advisor ever recorded in IceWing history. But alas his was but a dream. He was a lowly tracker, with the traits of a scholar. He was currently rushing to the great hall? He turned a corner to see the a IceWing go in. He almost dropped his back pack. He sprinted and went in. He made himself one with the crowd. He was, inside, bustling with expectations, unsure what his new queen and king were going to do. He was ready to take notes. Though on the outside, Akull was just very excited, like some of the other IceWIngs. Lao went to the meeting to hear what had to be said. He couldn't think of something that required such urgency in such a short amount of time. If it involved the military they were undermanned and were in dire need of training. However if it didn't this shouldn't concern him at all, it was most likely another pointless meeting that was going to end in a pointless argument. The Wyvern peered into the meeting room before walking in. He wondered what could be happening. Atarijor had finally gotten used to tribe life. But he was still plagued by nightmares of his old life. This in turn led to difficulties in learning to speak in Dragon tongue. His nightmares would cause him to revert back to Human speech, sometimes for days. But fortunately, today was not one such day. Atarijor found a spot to sit and looked around. There were only few faces he was familiar with; he noticed the Queen first. With a closed maw smile--he didn't often show his teeth, having few to show--he waved an arm. And then he looked around for the little Hatchling he'd seen a few times. Apolis grinned sincerely, but with a grim meaning. As the citizens began to settle down into their seats, and the councilmen and women finally became present, he scanned the whole hall and cleared his voice as the group grew silent. "Dear citizens of the IceWing Kingdom, I bid you welcome to the Council's Inquiry. In this public meeting, the Councilmen and women will present their proposals for their plans for the tribe. After the proposals are complete, the Q and A segment will begin and you shall be selected upon the raise of your paw. Please, let us begin." Apolis smiled, and sat down, but stopped midway. "Oh, silly me, I must say..." He looked at his fellow Councilmen, "no matter how extreme a proposal is, please maintain a calm order." He sat down after those words, and after a short pause, began to organize his papers furthermore, and cleared his throat. "I shall begin. I have a proposal, and seek to execute it, that we build a barrier around the outskirts of our magnificent territory. A barrier so strong, we shan't be preyed on upon other tribes. I request that this be done immediately, for the greater good of our defenses. My next proposal, I request that we create a mixed-military. Take youthfuls and trainees from most, if not all, the tribes and train them to withstand our climate and train under several scenarios and circumstances. My reasoning? I believe we can be stronger if we have a strong military with a mixture of different disadvantages working in our favor. Imagine it, a FireWing soldier. If it was mature dragon, it'd die in a matter of weeks within our territory. But if a hatchling could adapt to the harsh weather, it'd be a powerful personnel. My next proposal, I do plan to execute this despite anyone's input, that we form an alliance with the NightWings I, of course, will handle this, but this shall not go unexplained to the tribe as to why we were to ally to them. That is all." Apolis had more devious plans, and his disciples that would stand behind him, frowned. For they knew that he had not revealed the obscure nature of his true plans. He glared back at them, and smiled. He would not have it any other way than to have these plans executed in the most brutal way if necessary. Lao rolled his eyes at this IceWings remarks, that is it would of appeared that he had if they weren't pure white. "I have a few comments on your proposals... We can't make the barrier, yet. We don't have the manpower or the numbers to accomplish such a feat. Second remark, The mixed Military idea is good but will need some work. It would most likely involve ambassadors and such from said tribes. So like a united tribes ordeal... I guess you could call it. Third... An alliance with the NightWings could be... Well i'm going to refrain from answering this one... Ignore previous remark." The IceWing replied to the host's monologue of their intentions and whatnot. He saw many flaws to come, but would let it play out. That's how it usually worked. Leaders make foolish and rash remarks whilst others have to carry it out knowing the flaws in their ideas. 'Just for hearing...' Gemna thought long and hard with what was going on. A new barrier? Military Strength? Alliance with NightWings? Something seemed flow about this, and he did have questions of his own, but was deciding to speak against himself for that matter. He let the voices settle in, he let the decisions settle in, and he let the questions out aloud as he would cross his arms and leaned back in his own chair. "I will agree with the other dragon, we need more workers, much more, to help build the wall, if we can get more workers, then it could work, but you say a wall around the entire kingdom correct? With what little workers we have this would takes not months but years to even complete half of it. I have no comments for the military. However," Gemna spoke all in a deep, grim tone as he always did, "I do not know of any other tribes besides this one, but shouldn't you address what these "NightWings" are? Shouldn't you address what goals this tribe would have if we joined with them?" He was being skeptical again, as usual. Gemna tended to be this way for he questions what he does not understand, so when he does question the spokes dragon he can understand better if they were to explain more. As she was sitting there, her skull hidden beneath the shadows her cloak provided, thank the sorcerer who has enchanted her only piece of cloth, she listened to them all, making mental notes. Apolis' "proposals", orders were the more accurate descriptions, did not surprise her. Long since she has been declared head of the "Department for Research and Development" as she named it, she has been observing the king in her free moments, declaring him an interesting individual to follow. Of course, the way he carried himself, the way he radiated an aura of confidence and power, she knew he was up to something, she was pretty sure he wouldn't stop at leading just one tribe. How successful his plans and schemes would be she could only tell in the future, time gave her the ability to read people, not see into the future. This moment, his declarations, only proved her assumptions. As dragons started to complain and comment about the proposals of the Icewing King, she cleared her metaphorical throat, as she did not have one anymore physically speaking, and raised her hooded head, speaking in a low, ghostly echoing voice that had reminded other dragons of the "grim reaper". I, as one of the fellow councilmember, will address some of the comments you made about our king's proposals...*chuckle*. As for the barrier, I make a proposal myself in the form of me creating a magical barrier instead of a physical one. Some of you already addressed the problem of having not enough workers to raise such a barrier around the kingdom. I however, while limited to some extend, possess knowledge of magic able to create such a barrier. I would only request books from the Royal Library about a certain branch of magic I will need to perform that. 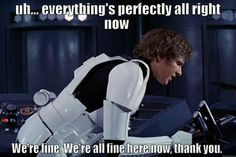 Upon the next topic, the mixed military, I can see the positives of it with the only negative really being the fact that we would need to condition hatchlings and younglings to our climates. While I am not Head of the Military Dept. I still request coming along when we leave for this. I can determine best which dragons are suited for this task. As for the alliance with the Nightwings, I have no objections for it. The Nightwings are very powerful allies as they have the best military when it comes to intelligence gathering and espionage coupled with assassination. As such, they would be at the current moment of time the strongest assets for us while we are concentrating on our own defenses. That is all for now. Akull was writing this all down. He was researching all of these people. He couldnt stay in the past, he had to keep up with the current. Akull looked up as everyone finished talking. Akull raised a paw and cleared his throat. ”If I may, I only have one comment. It is for the military. If we condition a Firewing hatchling to our climate. It will most likely disable their ability to survive in their original climate. Thats all I have to say." Akull went back to writing. Apolis listened attentively to the words of every beast that would sit upon these seats so carelessly. He had much more particular motives than of what he announced. This was merely to make it seem as if he was innocent. To eliminate all suspicions the citizens would have of his proposal. He cracked a grim smile before his head would pivet to the sound of a rather young dragon in the crowd. He raised his head to redeem his motive of speech. "Alas, my brethren, such inquiry would be as expected from kindred. Please, cease your suspicions of my proposal of the NightWings. Yes, they are indeed a vicious group with merciless motives but what more of a reason to unite with them. There have been several tensions with the relations regarding the NightWings, SeaWings, and SkyWings. But we have been given the choice to rebel against this power or unite with them. The odds are in our favor, my people. We are but a tribe rising from minor downfalls and have capacity for potential to rise further beyond NightWing advancements upon our decision of such choices. We are becoming no more than a puddle in the hands of greatness and power and success. And it all starts with our relations." He cleared his throat. "As for you, trainee, it is within my motive that we make sure our mixed-soldiers can adapt to their native and foreign bases." He said simply.